Presenting Chiang Mai Volunteer Group #214. This group arrived last week and started their projects on Monday. The group has nine members, from the UK, USA, Switzerland, and Mexico. 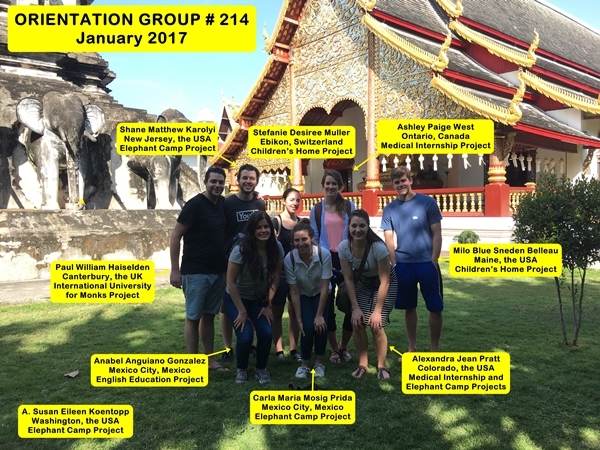 Volunteers and Interns in this group are participating in our Medical Internship, Elephant Camp, Children’s Home, English Education, and International University for Monks Volunteer Projects.